Shabnam was called to the Bar in 2005, having been awarded the Lord Denning scholarship of Lincoln’s Inn. Her practice focuses primarily on personal injury litigation, acting for both claimants and defendants. She has vast experience in all areas including road traffic accidents (including fraud, LVI and credit hire), highways act claims, employers liability, occupiers liability, industrial disease and clinical negligence. 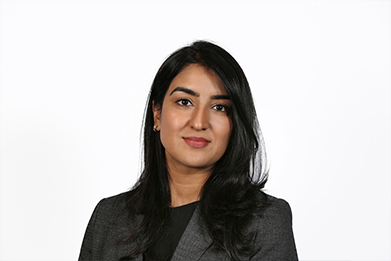 Prior to joining the Bar, Shabnam gained experience in legal academia and research, with a particular focus on the field of industrial disease and as such she has considerable insight into this this area. Shabnam enjoys a busy paperwork practice and is registered for public access work.